Bobst Library has many reservable group and individual study rooms for graduate students, located on Lower Levels 1 & 2, and Floors 4, 6, 8, and 9. 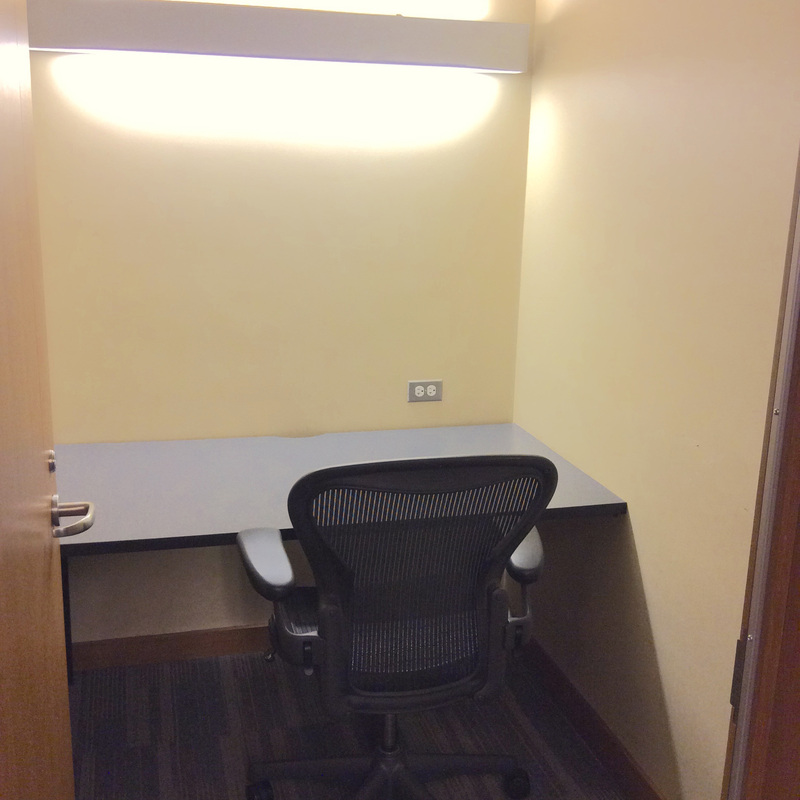 These rooms include our graduate collaboratives and dissertation writers’ rooms. Log in with your NYU NetID. Enter your preferred time, date, and reservation length. Graduate students may reserve a room for up to 3 hours at a time. You may reserve a room 14 days in advance. You will receive an email confirmation. For group room reservations, you will be asked to enter the email addresses of your group members and a confirmation will be sent to them as well. Can I use a study room without a reservation? Yes, but keep in mind that you may be asked to leave if a user with a reservation arrives. Rooms cannot be reserved or held by placing personal belongings in them. Materials and personal items left unattended may be removed by library staff. Group rooms may not be reserved or held for a single user only. Single users in a group study room (with or without reservations) will be asked to vacate the room for groups of 2 or more. Bring your confirmation email with you. Students with a reservation always have priority over walk-in users. There is a 10 minute grace period for reservations. If the reservation holder is not present within 10 minutes, the reservation is invalid.